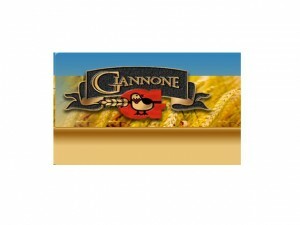 Gianone Poultry is a family-owned Canadian poultry processing business headquartered in Quebec, Canada. The Gianone family established Gianone Poultry in 1989. After just six years of being in the business, PME Magazine honoured Gianone Poultry with a Grand Prix Award for the category of Sales Growth. The award was given to recognize the company for its impressive sales increase from 1989 to 1994. The company was able to achieve its impressive sales by identifying and responding to growing concerns about processing methods. As a response to address the concerns, Gianone Poultry implemented processing procedures that were considered to be the latest in the area of poultry processing. With this improvement, there was also an implementation of a more improved operating philosophy, and a significant commitment it the company’s capital investment. The changes the company implemented resulted in exploding growth, specifically in sales. Gianone Poultry’s facility contains a state-of-the-art air-chilling system. This innovative technology has changed and improved the conventional water-based approach of chilling chicken. Poultry that has been air-chilled is able to maintain its natural meat juice. This gives a more accurate final weight of cooked chicken. Also, air-chilling guarantees that the enzymes and valuable proteins found in chicken are preserved. Harmful, pathogenic bacteria (e-coli, salmonella) are also kept in check when water is eliminated. The company knows that free-roaming, stress-free chickens give tastier and leaner meat, so it ensures that chickens grow in a stress-free and natural environment. To allow the chickens to roam freely, Gianone Poultry’s housing facility have large, arena-like areas. This in turn helps the chickens grow in an environment as stress-free and as natural as possible. Today, Gianone Poultry has an impressive list of clients that include retailers, wholesalers, hotels and restaurants in different parts of eastern Canada, as well as in the US. Despite the success that the company has achieved, it is determined to expand and succeed more, beyond the area of technological process. The company is confident about continuing its steady growth even as it maintains its traditions of being a family business that produces exceptional products. Gianone Poultry exclusively produces different kinds of chicken products. These products, rotisserie chicken, organic chicken, halal chicken and antibiotic-free chicken, are all of excellent quality.